Designed and manufactured by Canford to facilitate a fast, easy and effective solution for installing rack-mount Lemo SMPTE hybrid fibre connectors on site without the need for specialist skills or pre-terminated cable assemblies, these enclosures accommodate up to eight Lemo 3K.93C FXW or EDW connectors in either a flat, or our industry standard angled, 2U front panel. Blanking plates are fitted to any unused ports which allows for future expansion if required. During installation the SMPTE cables enter the chassis via individual rear cable glands and the strain relief element is secured to the integral clamping posts. The electrical elements are terminated using the male crimp contacts (supplied) and inserted into the corresponding MATE-N-LOK bulkhead connector. The fibre elements can be terminated using the Senko XP Fit Plus connection system or alternatively via the supplied SC tails which are spliced to the incoming fibre using the incorporated splice tray. These are then inserted into the SC coupler on the internal bulkhead. Please note that installed SMPTE cable is not included and should be ordered separately. See Fibre optic cables. 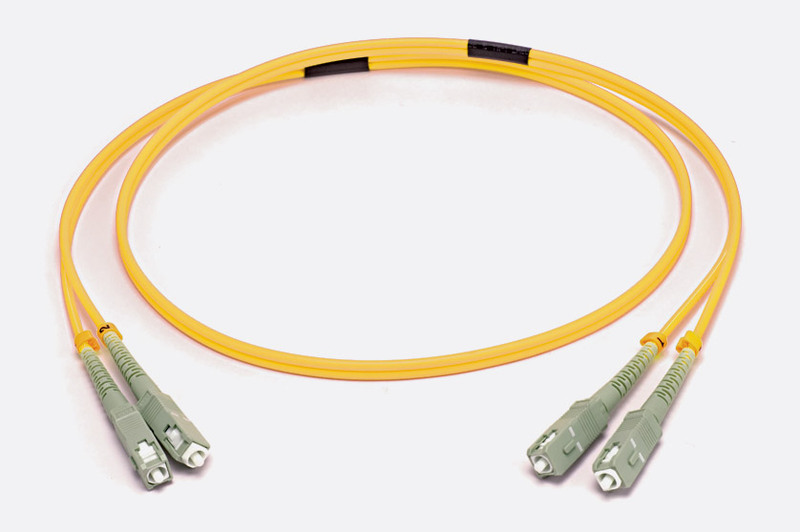 To offer a true 'Plug and Play' solution, Canford are also able to supply customer specified lengths of SMPTE cable pre-fitted with cable glands, MATE-N-LOK and SC connectors. 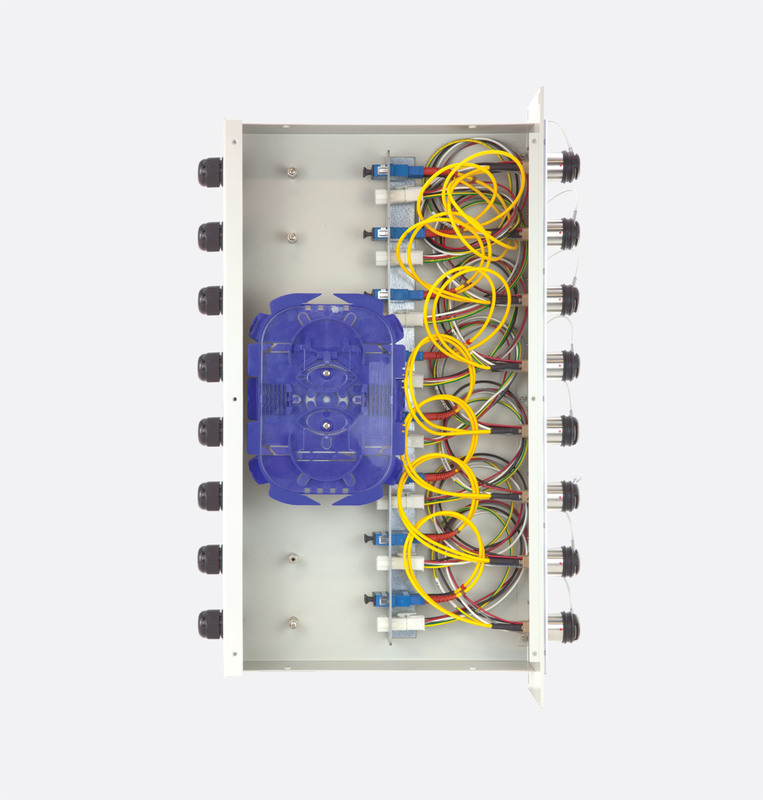 This further simplifies installation as no on-site termination is required and the cables are simply passed into the rear of the enclosure and fitted to the respective mating connectors in the bulkhead. Please contact Sales if you require a quote for this option. In addition this system not only provides improved protection to both the electrical and fibre connections secured within the enclosure but also allows for quick and easy replacement/repair of any failed SMPTE connectors reducing downtime and the need for expensive field service repairs. A designation-strip holder with snap-on cover is fitted to allow easy identification of each connector. Templates for printing the designation strip label can be downloaded from the appropriate product, page on the Canford website. The product is available as standard in Dawn Grey (BS4800-10A03) or Black. Other colours are available on request. Enclosure Depth: 270mm. Also available are spare MATE-N-LOK contacts and the MATE-N-LOK crimp tool. AMP MATE-N-LOK Crimp Tool Kit (55-839) contains a crimp tool and 2 die sets to cover 16-20 AWG (46-4218) and 22-26 AWG (46-4219) crimp sizes.